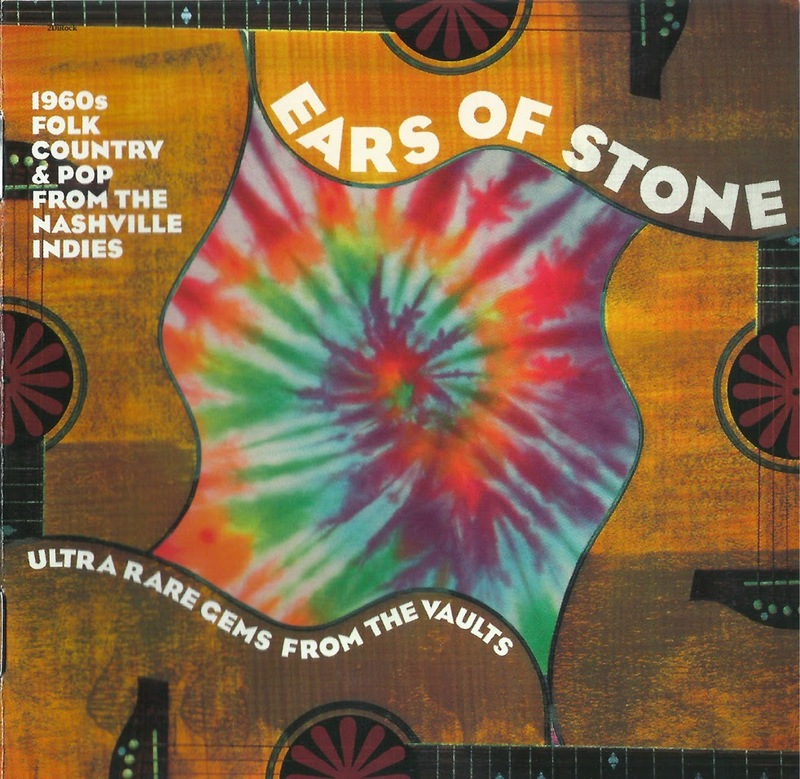 A peculiar package in more ways than one, Ears of Stone has 20 Nashville-issued tracks from the 1960s that cover such a wide range as to be nearly unclassifiable. At least the strange "Ears of Stone" title was chosen for a reason, as it's the name of one of the songs here (by the Network). Not much else about this compilation can be explained away as easily, since the liner notes, unbelievably, actually belong to an entirely different compilation on the T-Bird label, Early Country and Western from Bullet Records Nashville, which consists of country music from the late '40s and early '50s. It's hard to believe this got past quality control, especially as the illustrations in the notes actually feature some of the '60s artist's and singles on the Ears of Stone compilation, but there you have it. 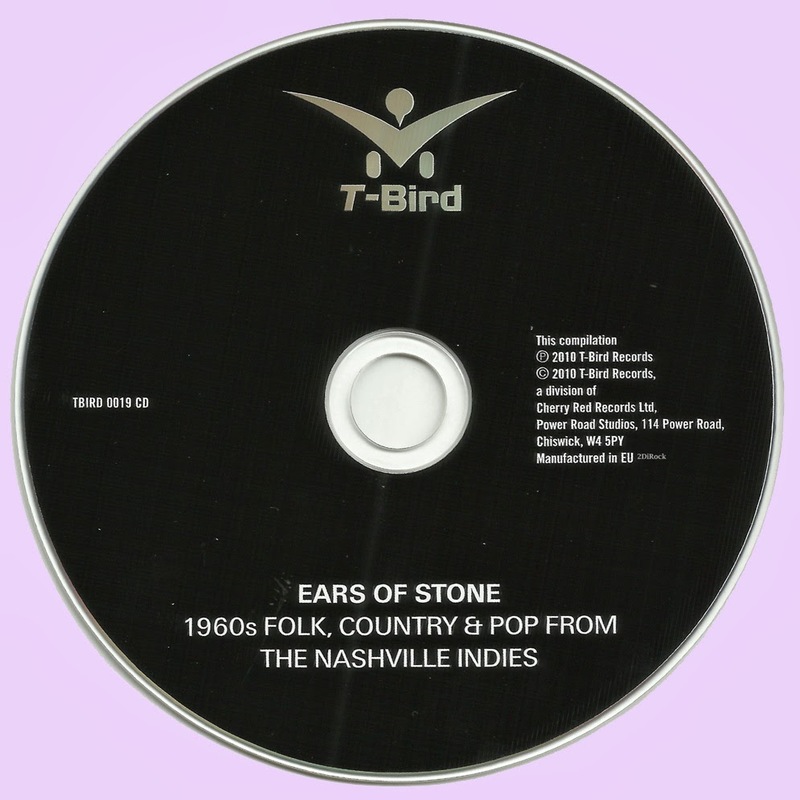 At least it can be inferred from those illustrations that the CD contains tracks from obscure Nashville independent labels, particularly Spar and Bullet, whose releases have been spotlighted on numerous other compilations on the T-Bird label. Not one of the artists on Ears of Stone has any degree of fame, even among collectors, and without inclusion of the proper liner notes, it's hard to even cite anything specific about their origins. Yet for all the strikes this has against it even before you've played the disc, it's a more worthwhile and listenable anthology than you might expect, even if its appeal is limited to diehards. There's pretty fair country-pop from Bobby & Bergen, and decent, rustic, underproduced folk-rock from Him & Her, whose "Too Much Too Soon" sounds like a garage Sonny & Cher. Also in an undernourished, yet charming, mid-'60s folk-rock vein, is the Mad Tea Party's "Keep It in Your Mind," which brings to mind a poppier Beau Brummels. The Seventh Plane's "Time to Realize" is engaging, tentative sunshine pop; the Network's "Ears of Stone" seems like it could have been done by the same group, with its pleasing male-female vocal harmonies, but it takes a more psychedelic tack, with enchanting bittersweet melodies buttressed by a subdued fuzz guitar. Christopher Jordan comes off like a rawer, more folk-rock inclined Neil Diamond on his self-penned "When It's Over"; the mysterious Tres (a trio, natch) offer confident, stripped-down country-rock. Several covers of pop/rock and country hits don't in any way challenge or redefine the familiar versions, but the Now Generation's cover of the Byrds/Turtles' "You Showed Me" is nonetheless entertaining, if in a soundalike sort of way. Truth be told, almost all of these tracks sound like underfunded demos, yet that's part of their charm and appeal. Lacking the budget and time to come up with something slicker, the artists do the best with what they've got and create some good, unaffected music unbeholden to a set formula, reflecting a modestly creative underbelly of the Nashville scene that's escaped the history books. Now if only this could be redone with the real liner notes. Truly fantastic share. Thank you Marios! Thank You very much, Marios !! Do You have VA - Vintage Psychedelia from the Music City (2000) ?? Looks like some good/interesting tracks in this set. Hi Marios, I love this very rare groups - Kasenetz-Katz, Jackpots, Namelosers, Jeff Monn, Orpheus, Pinkiny Canandy,Fifth Estate, Harpers Bizzare,Bruthers, Teddy And Pandas,Honeycombs 64 +65,Andy Kim, Fourmyulia ....please please advancing their... Thank you very very much!!!!!!!! Many thankx for this comp. Wonderful music. Thanks a lot!